Flu and cold season is usually in the late fall and winter but you can get sick anytime. The best way to fight these conditions is to have an immune system that protects you from the beginning and that can keep you from getting sick in the first place. Diet, herbs, and tonics can go a long way toward naturally improving your immune system so you don’t get sick. It all begins with diet if you want a good immune system. Don’t flood your system with processed foods and instead eat immune-fighting fruits and vegetables. To enjoy all the benefits of a good immune system eat a lot of fresh, raw organic produce. The fresher the food, the more enzymes, and delicate proteins remain in the food you are eating. Organic produce is grown without pesticides, and organic farming actually increases the amount of nutrients that the fruits and vegetables provide. The fresher the food, the more enzymes, and delicate proteins remain in the food you are eating. There are many antioxidants in food that will keep your cells healthy enough to block invasions by bacteria and viruses. Fresh produce is high in antioxidants, including the all-important beta-carotene, vitamin C, and vitamin E. These are found in colorful fruits and vegetables, and especially those with purple, blue, red, orange, and yellow hues. Oranges are high in vitamin C, but chili peppers, red and green bell peppers, kale, cauliflower, Brussels sprouts, kiwi, broccoli, papaya and strawberries actually have more. A multivitamin with a lot of vitamin C in it can help you if you don’t always have access to healthy foods. Take one vitamin a day and add extra vitamin C if you feel an illness coming on. Beta-carotene is found in apricots, turnip and collard greens, tangerines, tomatoes, and watermelon, nectarines, peaches, pink grapefruit, pumpkin, asparagus, beets, broccoli, cantaloupe, carrots, corn, green peppers, kale, mangoes, squash, spinach, and sweet potatoes. Vitamin E is found in broccoli, mustard and turnip greens, mangoes, nuts, papaya, carrots, chard, pumpkin, red peppers, spinach, and sunflower seeds. Raisins, eggplant, Plums, Red grapes, apples, onions, beans, and alfalfa sprouts are also high in antioxidants. Those who don’t eat well can take supplements as soon as they feel like they are coming down with something so that they can calm the ill before they feel too bad. Vitamin D is something that many multivitamins don’t give us enough of. You need vitamin D for proper bone metabolism and overall good health so, unless you know your vitamin D level is good, take a 1000-2000 mg vitamin D supplement daily. Eat a salad every day that is mixed with raw garlic. Garlic is a natural immune enhancer that also helps the liver function better. Avoid plain white sugar, trans fats, highly processed foods, or foods containing high fructose corn syrup. 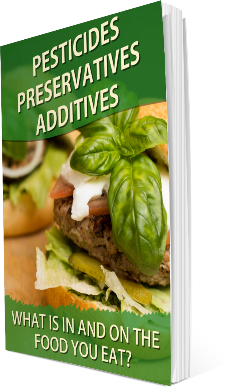 Foods with artificial preservatives, flavors, and coloring are not meant to be eaten by a healthy body. These ingredients when taken as directed above will be one of the best natural multivitamins you can get your hands on. Try apple cider vinegar for sinus or throat ailments. It makes your breath smell a bit like old shoes but you will feel better overall. Drink a lot of fluids and try detoxifying your body with stevia-sweetened cranberry lemonade mixed with cayenne pepper. All of these agents will fight infections. This natural mixture makes for good influenza protection. Mix two ounces each of turmeric, ginger, wheatgrass, cranberries, and lemon and put them in a juice extractor. Drink each two-ounce shot separately for the easiest time on your stomach. Your immune system will be strong, especially during flu season when everyone is sick around you. Take a shot of each of the above juices once daily before eating anything else. Echinacea is good for prevention and treatment of viral infections, especially when you mix it with a source of vitamin C. Take Echinacea every day for a week but no longer. If you still feel you need it after a five day rest period, you can do another week of it. Goldenseal can be used to fight both parasites and viruses. It keeps the blood clean but should be taken with black radish so it doesn’t stress the liver. Black radish has its own antiviral, anti-parasitic, and antibacterial properties. Another good tonic involves mixing a handful of chopped onions, garlic, chopped ginger, and horseradish with a half handful of habanero peppers. Blend them all with apple cider vinegar. Take a couple of tablespoons right away and let the rest sit for a couple of weeks until it can be strained into a tincture and mixed with water for anti-infective properties. All of these remedies can be made completely with organic materials so you can keep your organic lifestyle while keeping you healthy at the same time.